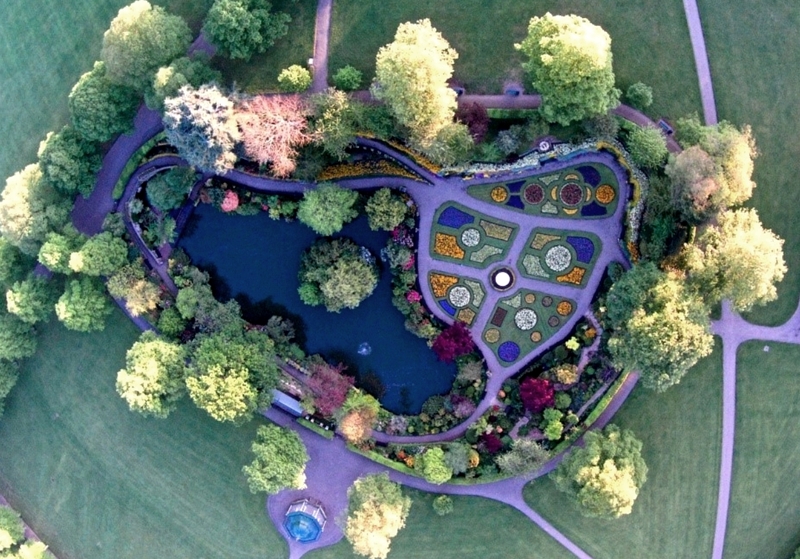 SHREWSBURY AWARD WINNING DINGLE GARDEN By STAN SEDMAN M.B.E. 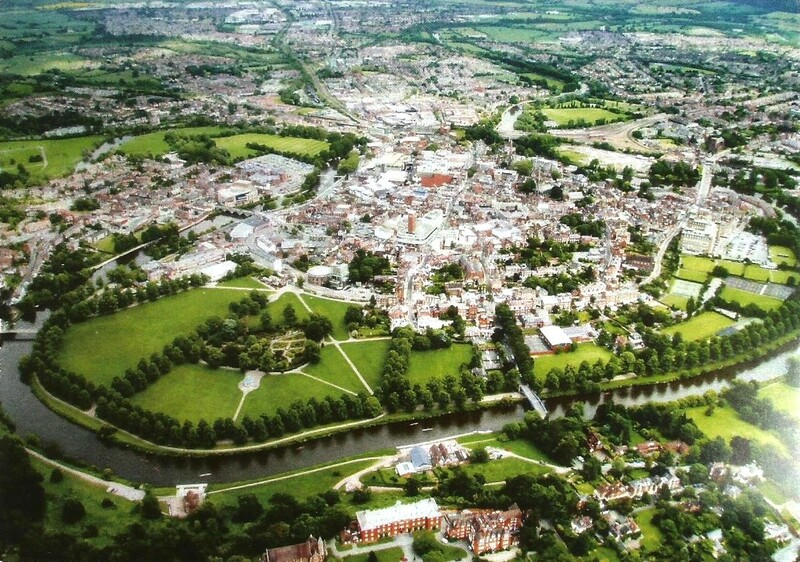 Located within the loop of the River Severn, which encloses the Town centre of Shrewsbury, lies the Town’s Public Park known as “The Quarry”. This name is derived from the fact that there were two ancient quarries there producing the red Keele Sandstone for the Town Walls, the Castle and Religious buildings. It was farmed by the burgesses from 1581 and was used for public gatherings such as the general muster in 1579 due to the war with Spain. Crowds gathered there in 1814 to welcome back Lord Hill from the Peninsula Wars. In recent years it has been the place for rejoicings such as Coronations and Jubilees, Pop Concerts and various Festivals. 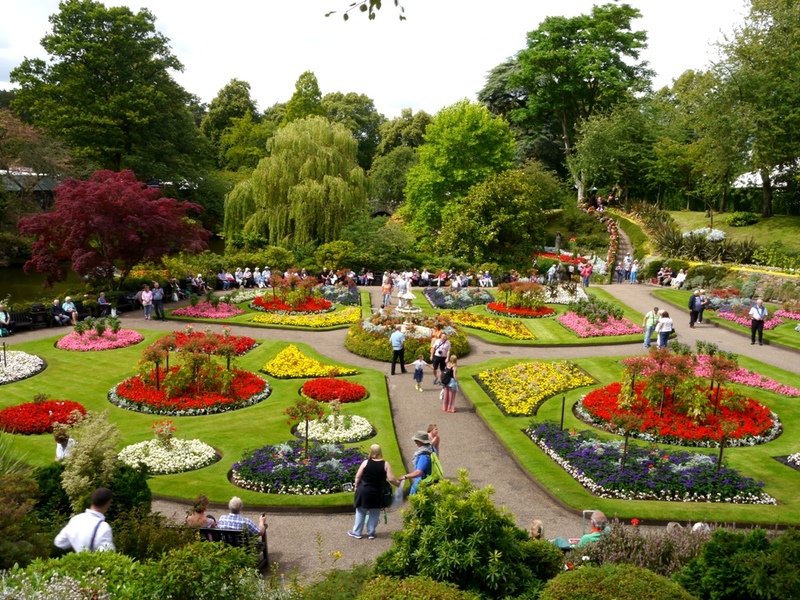 Every August the park becomes the home of the famous Shrewsbury Flower Show organised by the Shropshire Horticultural Society. 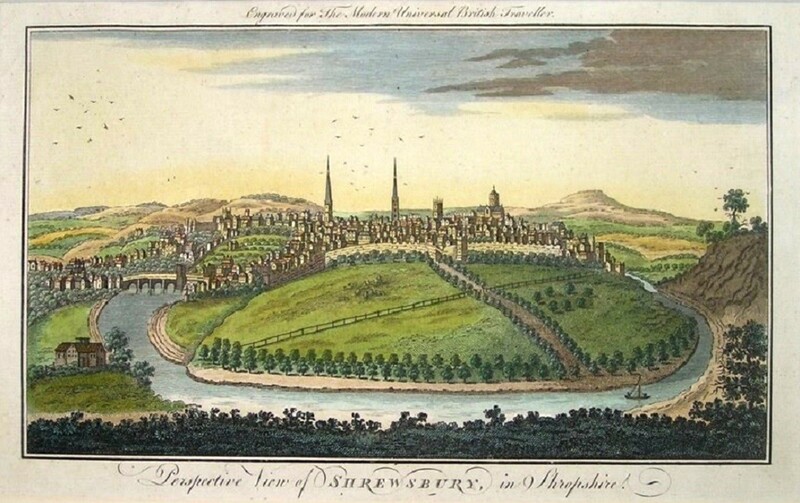 In 1719 it became a more formal setting with the planting of lime trees down a central avenue with two branches alongside the river as can be seen from the 1799 picture below. 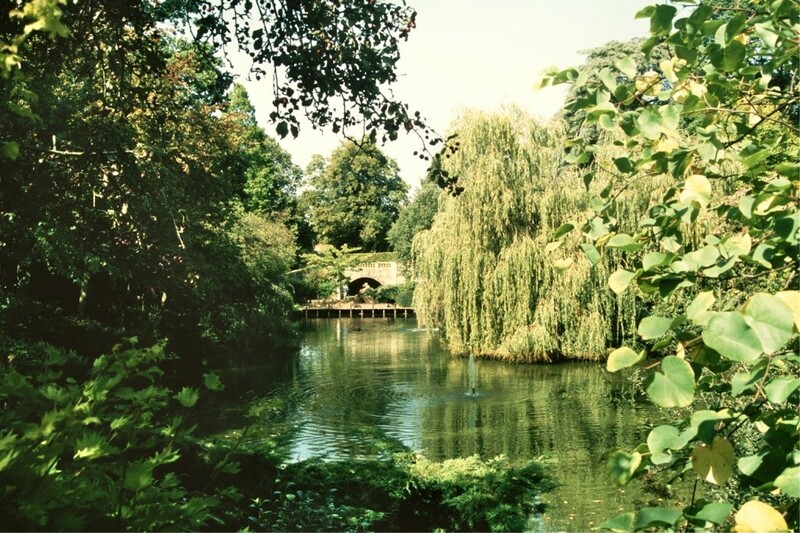 Located within the park is what is recognised as one of the finest public park gardens in the country acclaimed by many visitors and horticultural experts. 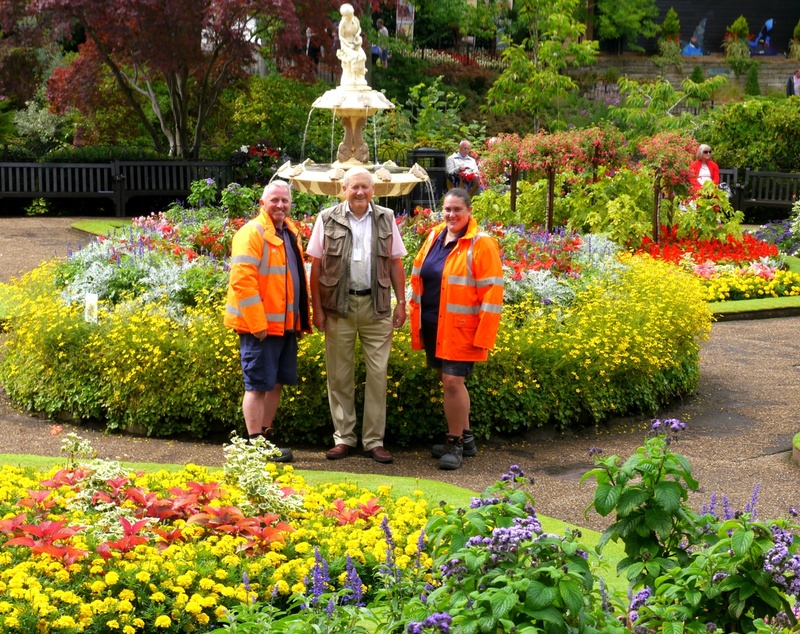 Maintained by Shrewsbury Town Council, and its wonderful horticultural team, it is a haven of sheer horticultural beauty throughout the year. 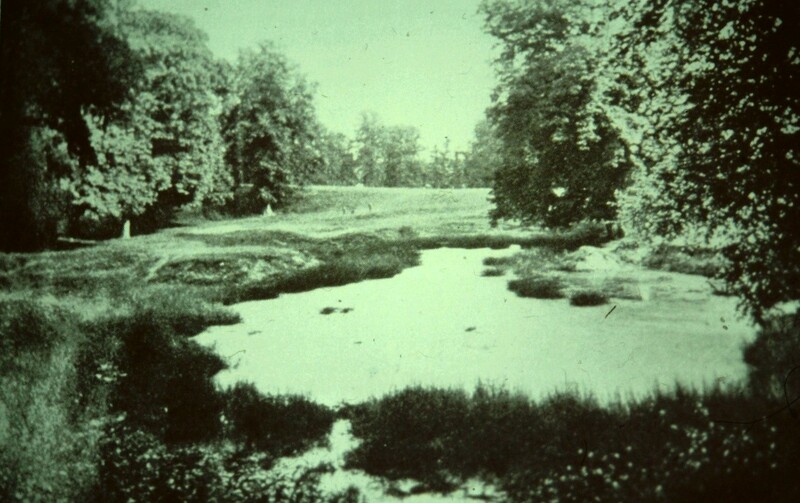 However, having started life as a quarry, by the early 18th century it had developed into this simple pond with plantings of horse chestnut and limes. Known as the Dingle Dell or “Fairy Ring” it was also a watering hole for cattle and an area where Charles Darwin is reputed to collect nature specimens such as newts when he was at school in 13 Claremont Hill. 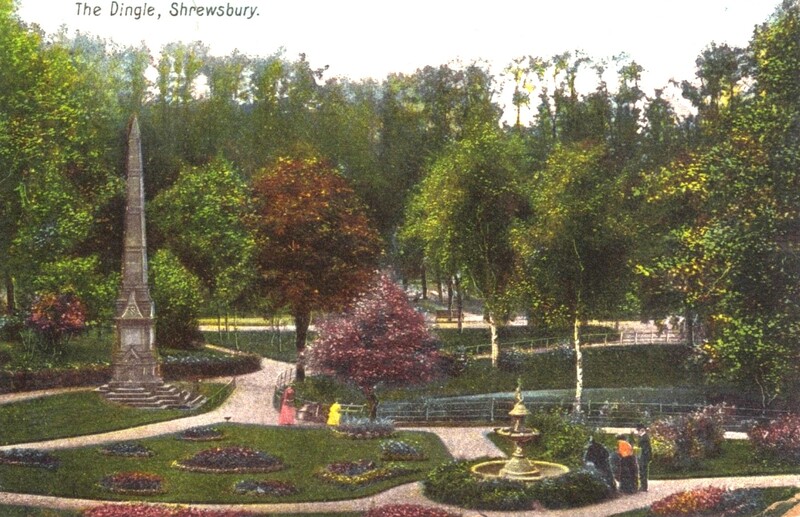 Between 1875 and 1879 the transformation into the Dingle Garden took place, the photograph below shows how it looked in the early days of the 20th century, the obelisk on the left is the Clements Memorial (William Clements was a Mayor and also Member of Parliament for Shrewsbury). Originally located at Railway Station forecourt it was relocated here in 1897 and then in 1938 removed to St Julian’s Friars. Alterations and development took place over the years as horticultural styles changed, although the basic bed layouts rarely varied. During World War II lack of attention saw deterioration but this was remedied when Percy Thrower became the Parks Superintendent in 1946 (a post he held until 1974). 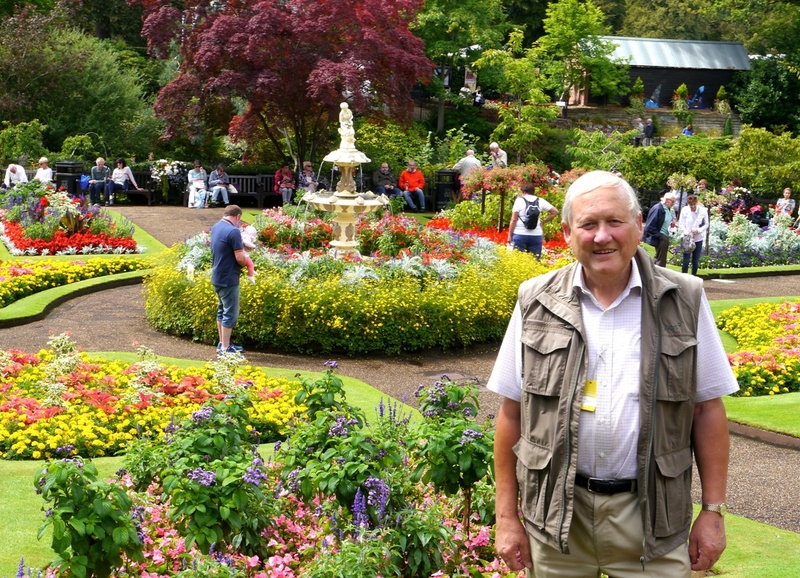 He is recognised as the person behind the revitalisation of the Dingle and it was his incredible standard of horticulture that led him to become the famous TV and Radio Gardening Personality that many remember. In 1985 a major restructuring took place creating the landscape we see today – the Shropshire Horticultural Society providing funding of £106,940. Obviously the eastern part which includes the floral beds is the main focal point in the Summer when there is a riot of colour but there is never a period when horticultural interest cannot be satisfied as this picture portrays. In the distance beautifully located is Sabrina, the Goddess of the River Severn which after being in a number of locations within the garden was finally moved here in 1985. This statue was originally presented by the Earl of Bradford in 1879. 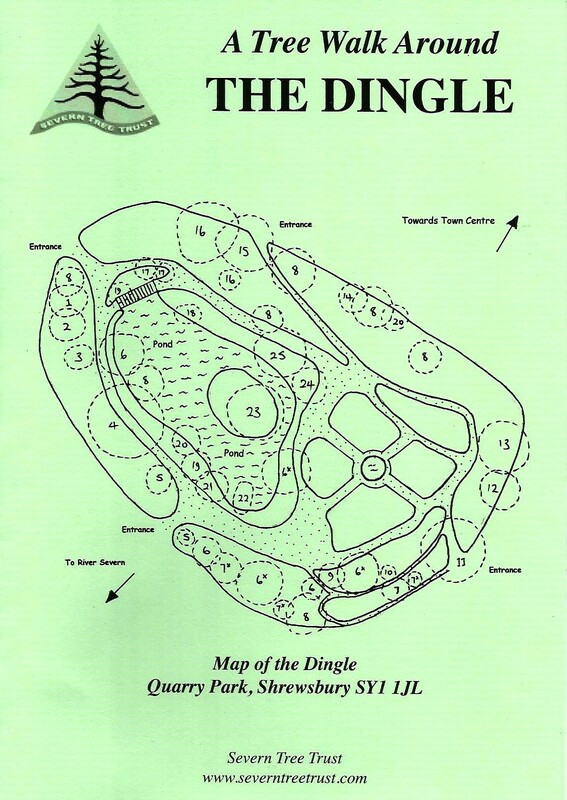 The displays in the Summer are nationally recognised as some of the finest in the Country and within the horticultural aspects of the Town the Dingle is “The Jewel in The Crown” playing a major role in the Town’s entry into Regional, National and International competitions. 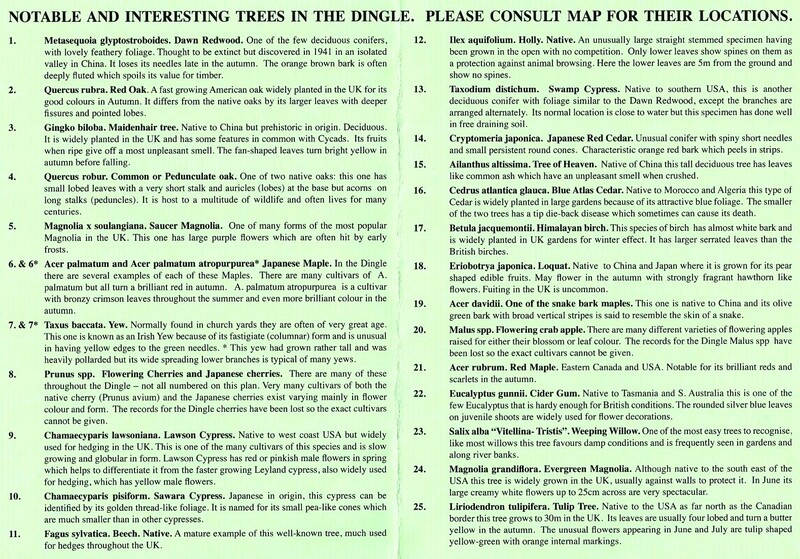 Although it is the formal bedding that is normally commented on there is a collection of notable trees in the garden giving year round interest and the Severn Tree Trust have produced details of these in the leaflet copied below.